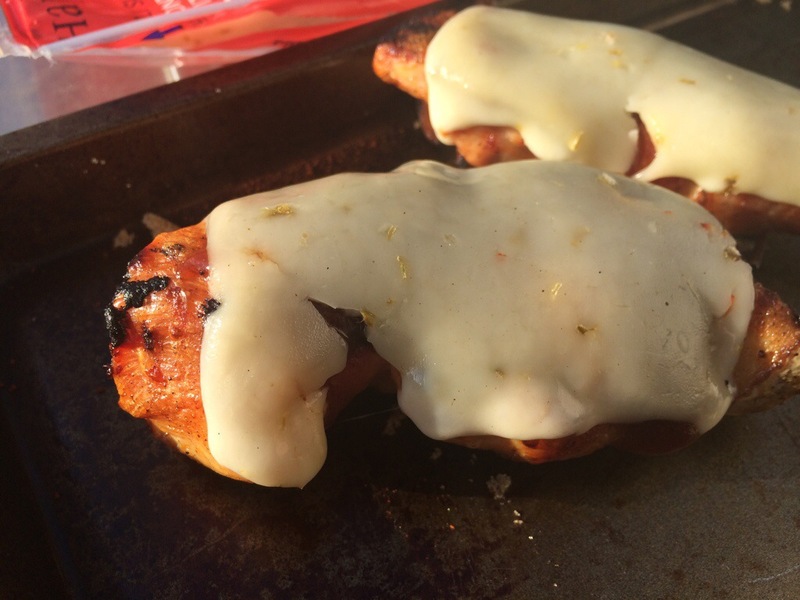 As a part of our month of grilled recipes, I came up with this pretty amazing chicken. 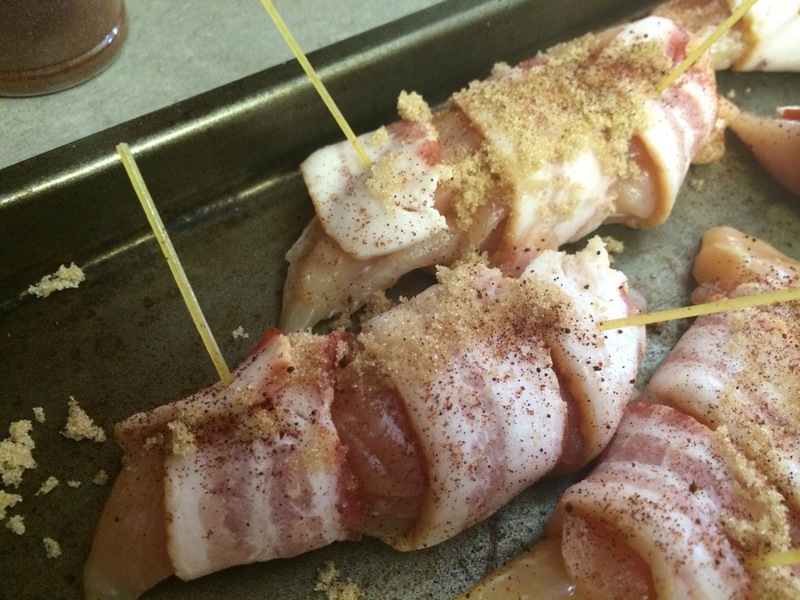 It is packed with flavor and wrapped my favorite food group….BACON!! Trim your chicken. 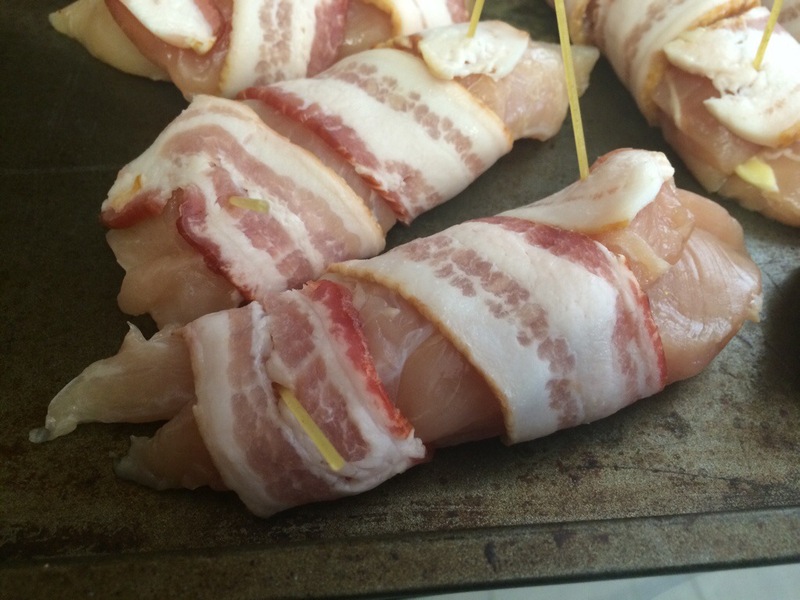 Take a piece of bacon and wrap it around your chicken. Use toothpicks on each end of the back to hold it in place. I didn’t have any toothpicks so I used spaghetti noodles Genius, right? Sprinkle a little brown sugar and chili powder on your chicken. Pat it down so it sticks to the chicken. Toss your chicken on the grill. Cook for about 8 minutes on each side. 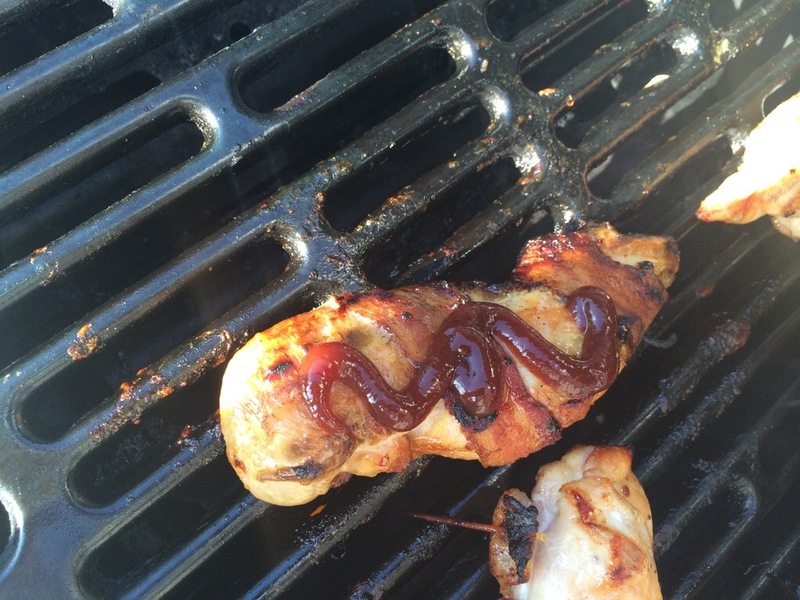 When your chicken is fully cooked, squirt a little barbecue sauce on top and place a piece of cheese on top. 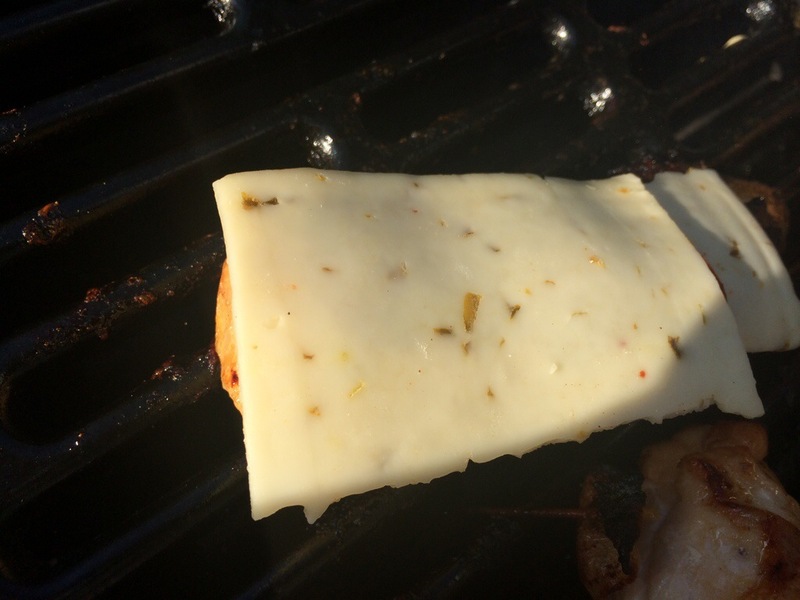 Let cook for about a minute until the cheese melts. ENJOY!! 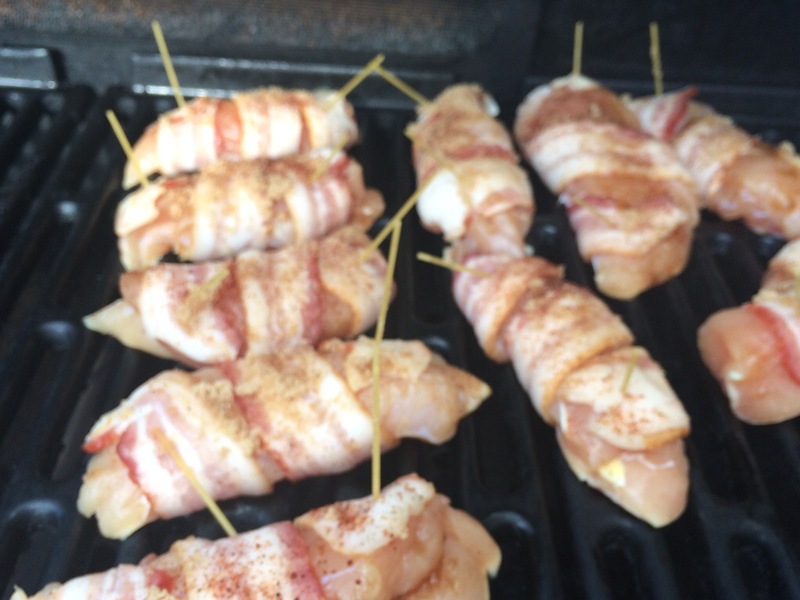 These go GREAT with grilled Cheesy Bacon Potatoes.